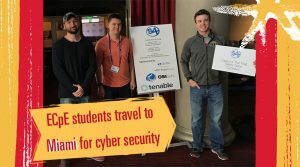 At Iowa State University, three innovative students from the College of Engineering’s Department of Electrical and Computer Engineering recently returned from Miami, Florida, from a capture-the-flag style, industrial security competition: The S4x Conference. The trio, seniors Daniel Limanowski and Adam Crosser, along with graduate student Grant Foundree, found each other through University Professor Doug Jacobson, who encouraged them to attend the Miami conference. Jacobson had spread the word about the conference to nearly all students that worked for him. But Limanowski, Crosser and Foudree were the three who jumped at the opportunity. With Jacobson’s assistance, the team booked their hotels months ahead of the four-day competition, beginning on January 13. 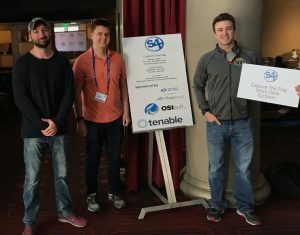 When the trio landed solo in Miami, they checked into their hotels and began configuring their computers for the S4x Conference, where there were 532 attendees from 27 countries around the world. On the second day, the team entered the conference building, which according to Limanowski looked like an old movie theater turned into a conference room. The conference had multiple sponsors and a challenging category for each sponsor. Iowa State’s trio had a network category, with the goal for that category being the discovery of the correct server. 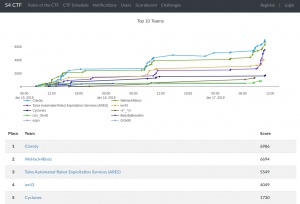 The team would try to identify the right server and then attack it and steal the flag, therefore “capturing the flag.” Limanowski said that the harder the challenge was, the more points you got, and the more points, the merrier. Throughout the S4x conference, the team was surrounded by professional security teams separate from their league. But Limanowski said the other teams were more inspiring rather than intimidating. “It was cool to keep up with the big guys. The people that were ahead of us were all professional security teams. There was also a security team from Japan and other professional teams,” Limanowski said. While the four days the trio spent in Miami were full of competition and comparisons to the professional groups, Jacobson said he heard the team still stood out.